Long before the Inkan Empire rose to dominance in Peru, many advanced indigenous cultures developed and declined in the Andean regions of South America. 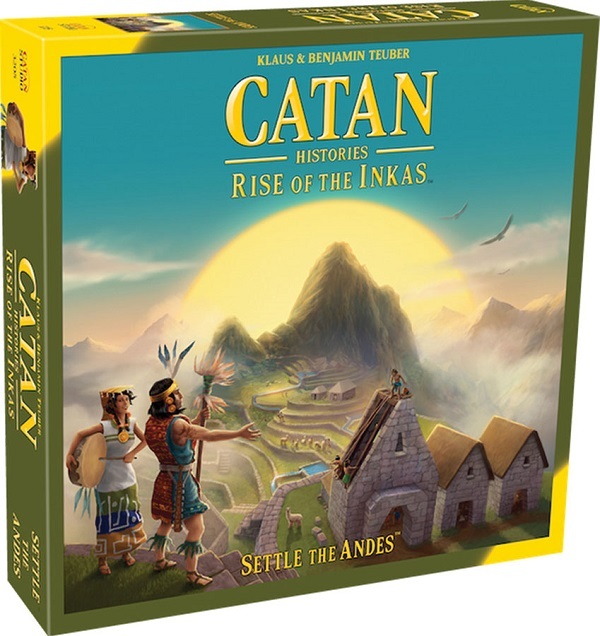 Catan: Rise of the Inkas confronts you with new strategic challenges as you play. Development works in much the same as the core mechanics of Catan build roads and settlements, gain development cards to give you an advantage, and use the robber to hinder your opponents. However, eventually your early tribe will reach their pinnacle and be supplanted as you start a new era. As you play Rise of the Inkas, you must twice decline your early tribes to make way for a new tribe`s era. You remove all your constructed roads from the board and cover your settlements in vines to denote that these may no longer be developed. But your game doesn`t end there. When your tribe goes into decline, you place a new settlement on an available board space and continue the game using this new settlement. Timing is an important part of your strategy as you play Catan: Rise of the Inkas, take advantage of your opponent`s settlements in decline to set yourself up to claim victory.